“The movements looked so smooth and simple, but as I tried a few of them I realized that they were not easy for my body”. As a physical therapist, movement and fitness are my passion. I am constantly exploring human movement and searching for strategies to empower my clients to ingrain mindful and healthy movement patterns into their lives. 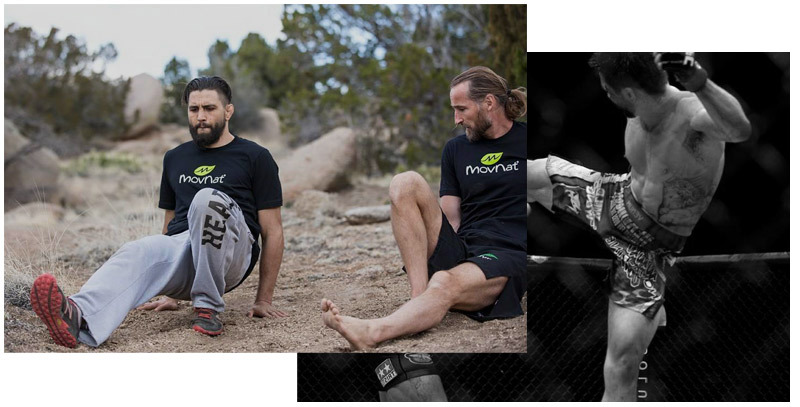 So, I was intrigued when I was introduced to MovNat through a client, UFC Fighter Carlos Condit, who posted some videos of himself training with Erwan Le Corre. Initially, I was fascinated by the movements used in his post-rehab training strategy and also thought that the workouts looked fun. I then decided to research MovNat further and came across Danny Clark’s Natural Developmental Sequence (NDS) warmup shown in his “From the Ground Up” coaching series. The movements looked so smooth and simple, but as I tried a few of them I realized that they were not easy for my body. 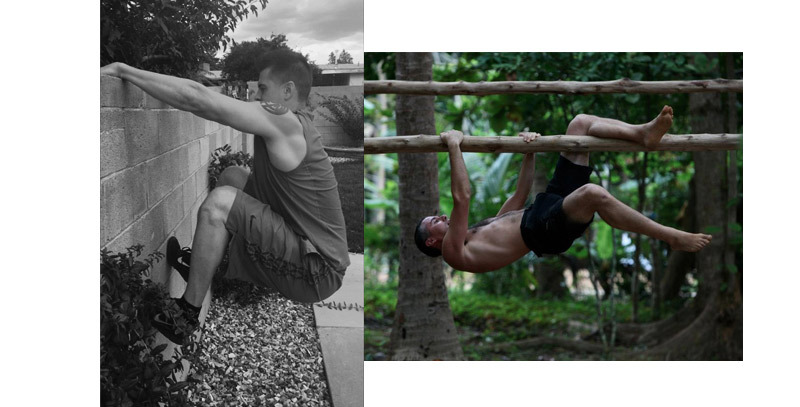 A few of the movements involved positions that I had told myself over the years were simply not possible for my body. At that time I made a big connection between what I had been telling myself and what patients tell me all the time: “I can’t.” It was that moment that made me realize I needed to learn more. Every practice starts with fundamentals. I continued to practice the NDS every day and introduced some of the movements to my coworkers. I was surprised to see a quite a bit of variability in the ability to complete the movements even amongst people who I consider fit and athletic. Based on further research of the certification courses, I felt that MovNat seemed like a progressive, systematic approach to improving human movement – an important point for those in my profession – and was also very applicable to my personal goals. In the online content I saw many “lower level” movements that many of my patients (typically 20-60 year old general orthopedic and sports patients) struggle with and many “higher level” movements that captured my personal interest as they seemed very fun and required great skill. The certification was an amazing experience on multiple levels. What stood out was how well of a job MovNat does at teaching the concept of “earning movements” via mastery of lower level, basic movements prior to even attempting higher level activities that likely lead to compensation and inefficiency. In addition to learning a valuable new toolkit for teaching, I also had some personal triumphs. The Level II physical competence testing required us to complete Pop Ups and Swing Ups from a bar that was approximately 9 feet high. I was very nervous to say the least, despite having ample practice time on the skills on a lower bar. To my amazement, I was able to complete the Pop Ups and the Swing Ups during the testing. To be able to execute these movements demonstrated a huge improvement in skill from just a few days earlier where I felt that I had no chance to complete them. Overall, my certification experience gave me a big sense of accomplishment and also revealed that if I can be mindful of my movement, prioritize technique and the development of efficiency instead of “powering through,” I could drastically improve my abilities in a very short period of time. The course also helped me realize that my training has focused on my strengths and has not always helped me overcome some of my weaker movements or areas. I remember being excited to see if the MovNat approach would give me a broader skillset and change the way I would view movement. I’m happy to report the answer is a resounding “yes!” Since completing the Level I and II certification, I have undergone a substantial transformation in both my own training and my professional practice. In my own training, “mindful movement” has become a practice of awakening, as I have spent more time training outside and playing with movements that were totally foreign prior to MovNat. I feel the freshness of youth again as I learn and improve upon something new every day. 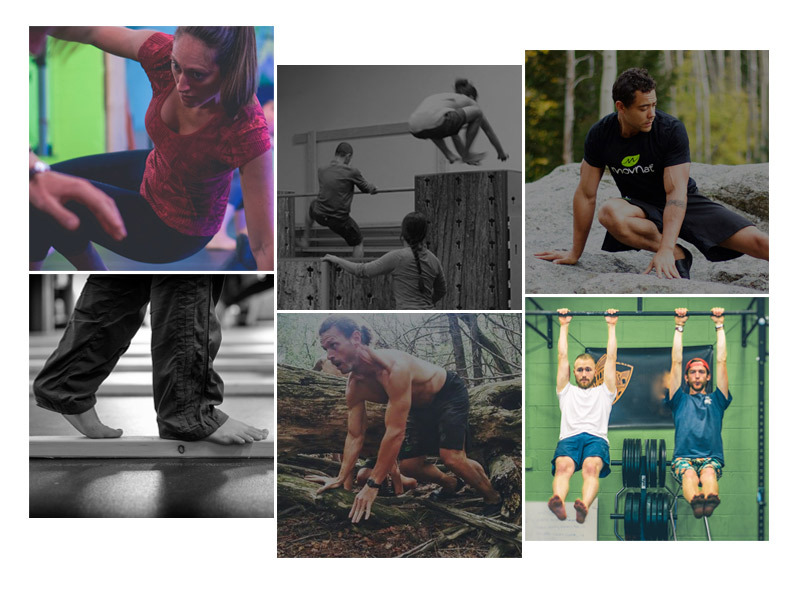 Most importantly, I have integrated MovNat into my practice as a physical therapist and have found many highly effective tools and strategies for improving my clients’ natural movement ability both inside and outside the clinic. But, I’ll save the specifics for another article. Jimmy Minner received his Doctorate of PT from UNM in 2010. After 2 years with Langford, Jimmy spent 13 months in South Carolina with Proaxis Therapy studying to become a Sports Specialist. Jimmy became the first graduate from UNM to participate in an APTA credentialed sports residency and became a board certified Sports Clinical Specialist in 2013. Jimmy also became certified in March 2014 for Functional Dry Needling through Kinetacore. Jimmy also started as part-time faculty helping teach orthopedics to the first year UNM PT students in the Fall of 2015. Jimmy has a special interest in treating overhead and traditional sport athletes. Jimmy was a javelin thrower at UNM from 2000-2004 and currently plays competitive doubles sand volleyball. Thank you so much to Jimmy Minner for this great article. I am a physical therapist and have attended the MovNat workshops, which has inspired me to sign up for the Level I certification in March. I have shared this fabulous blog with my clientele and colleagues and sincerely hope that the MovNat philosophy will continue to spread through the rehab industry. So much to be gained from your systems! Awesome Jeni! There are applications for everyone in the curriculum and it is all based around functional movement and efficiency of movement. Hope you enjoy it, I know you will!